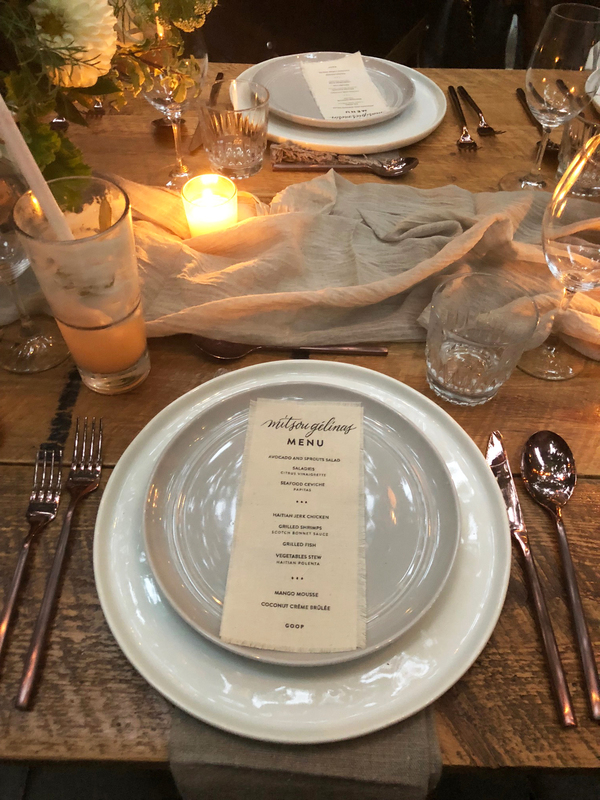 Gwyneth Paltrow invited 25 Canadian influencers to dinner last night in Montreal to announce the first Canadian In Goop Health Summit that will be held in Vancouver’s Stanley Park Pavilion on October 27th. The women sat outdoors in a gorgeous rustic setting at agrikol, the restaurant owned by Arcade Fire‘s Win Butler and Régine Chassagne. Mitsou Gélinas was surprised when she received the invitation in her inbox and read it a few times to make sure it was real. She was invited to meet with GOOP’s Chief Content Editor Elise Loehnen for an interview that morning at the William Gray Hotel, and then for an intimate dinner that evening with Gwyneth herself. No matter what you think about GOOP, it’s hard not to be excited about an invitation from Gwyneth Paltrow. She selected our city to make the announcement after falling in love with it while filming Mrs. Parker and the Vicious Circle. You can listen to Mitsou describe the special night (in french) on Rythme 105.7 here. You can read or listen to Mitsou’s interview with Elise (the heart of GOOP) here. Read Mitsou’s thoughts on last night’s event here. For more information about the first Canadian edition of In Goop Health and to buy your tickets click here.